Photo via Equis Save Foundation. Comeback stories of rescue horses finding happy, healthy homes and success in new careers are among our favorites to follow. Now, a new incentive program has been announced to further celebrate these special equines: the Rescue Recognition Program (R.R.P. ), presented by the Equis Save Foundation. The program awards high-point ribbons to rescue horses competing at sanctioned USEA and USDF shows, as well as year end awards. Eventing awards will be provided for Intro through Preliminary levels. Dressage awards will consist of an award for the high point average in the categories of junior, adult amateur and professional. The awards are self-reported by the rescue horse’s owner or rider, based on competition participation. Rescue horse eligibility: For the purpose of eligibility for R.R.P. awards, a “rescue” is defined as any horse that was slaughter bound, saved from a kill pen, adopted from a horse rescue or saved from severe neglect. Thoroughbreds adopted off the track are not considered rescues unless they meet the aforementioned criteria. To participate in the R.R.P., owners/riders must obtain a R.R.P. number (register here). Registration is free and should be provided to participating horse shows as proof of eligibility. Awards are given by horse R.R.P. number. Multiple riders can compete the horse; however, the points are award to the Rescue Horse and will be reported under the horse’s number. Shows included in the Performance Awards: Horses accumulate awards at all USEA and USEF sanctioned horse trials/shows. Horse shows/trials do not have to offer R.R.P. awards to be included in performance awards. Award calculations: The Performance Awards recognize the Rescue Horse accumulating the most points in each of the award categories and divisions. Verification of results: Results reported by owners and riders must be supported by horse show results and be verified by R.R.P. Only verified points will be counted towards the Performance Awards. It is the submitting owner/rider’s responsibility to provide verification, in the form of a permanent website link; hard copy of official results, placing and the number of horses; handwritten results with show secretary’s signature for verification; or copies of your bill showing class, placing and the number of horses. Keep records for the results throughout the year. Submission: All forms and supporting documentation must by submitted/postmarked by Jan. 31 of the year following the competition year. 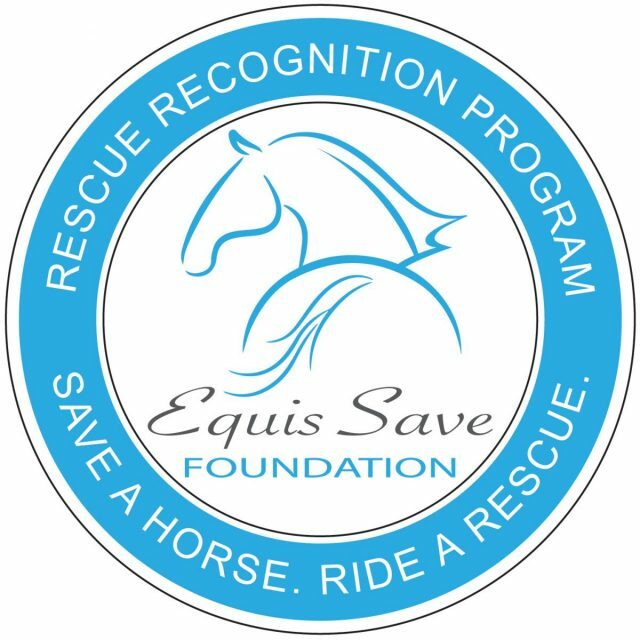 Equis Save Foundation is a non-profit horse rescue organization dedicated to the rescue, rehabilitation and adoption of horses. Learn more about the R.P.P. program here. Might we see this little guy in the start box soon? Love it!